The 5th edition is updated by Alan Williams to the 2018 International Building and ASCE/SEI 7-16. In Chapters 1 and 2, sections of ASCE 7 are presented, analyzed and explained in a logical and simple manner and then illustrated by examples. 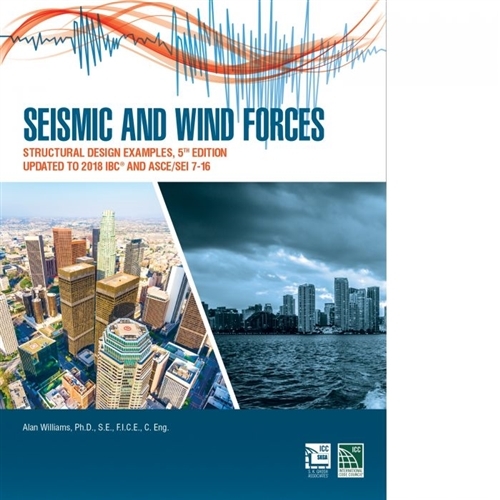 Each example concentrates on a specific section of ASCE 7 and provides a clear and concise interpretation of the issue. Chapters 3-6 deal with the seismic design of steel, concrete, wood and masonry structures.